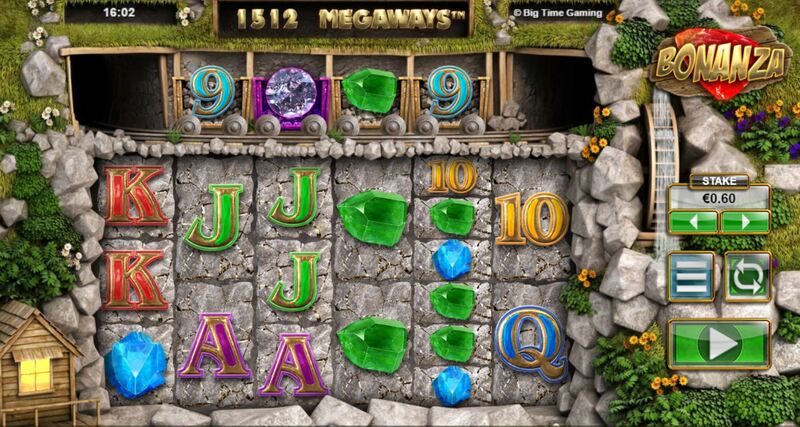 Bonanza slot is fast becoming a classic from Big Time Gaming. Like their other multiway slots Queen of Riches and Dragon Born the 6 reels all land with a varying amount of symbols from 2 to 7 thus offering 64 to 117649 ways! Symbols are stacked too from single to whole reel high. Theoretically this can award astronomic wins x stake although a few thousand x stake seems the highest realistically achievable. 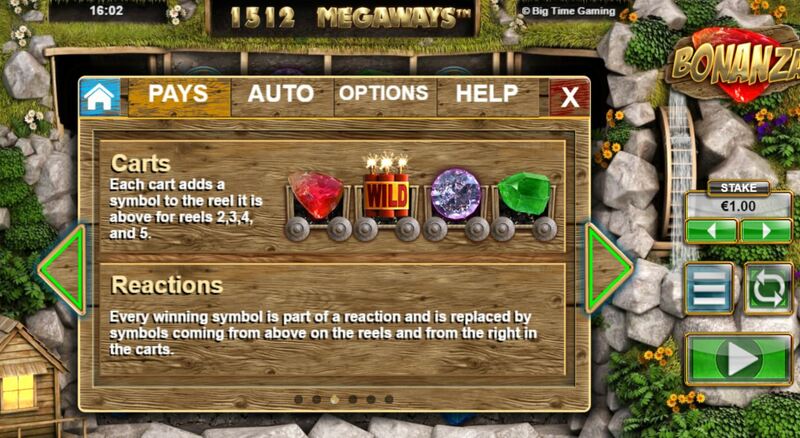 You have a Wild Western mining theme and the game has an extra row of 4 symbols in mining carts appearing above the middle 4 reels which will contain the single Wilds should they appear. The game is a cascade-style which means winning symbols are replaced by further new ones dropping down. Should you land 4 or more Gold scatters you get 12 free games, or 17 for 5 and 22 for 6. 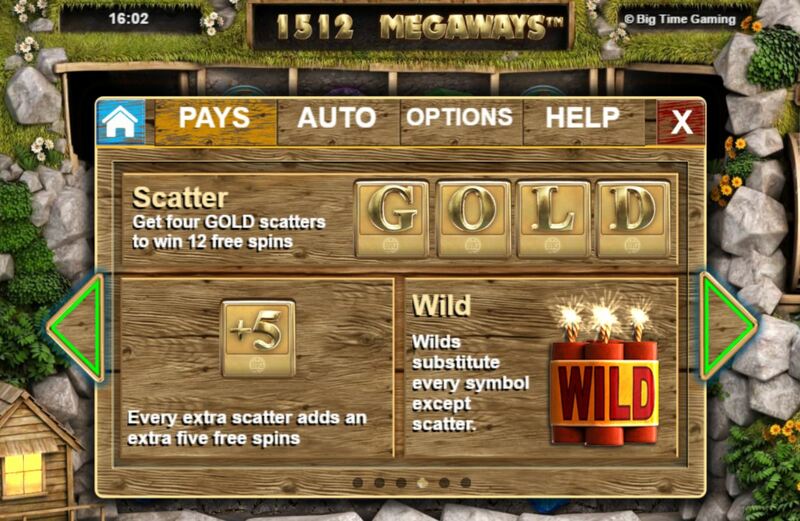 You can earn extra free spins for 3 or more bullion symbols in the mine carts above during the bonus. 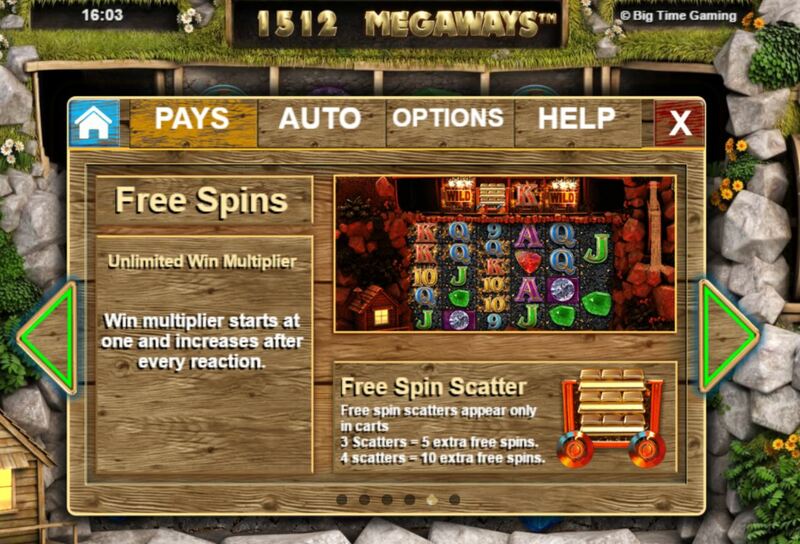 We’ve left the most exciting feature until last – every win increases the multiplier by 1x and given you can get multiple successive wins on one single free spin, the potential is there for a final multiplier (theoretically unlimited) of 20+ or even better! The game is highly volatile and the RTP is 96%.